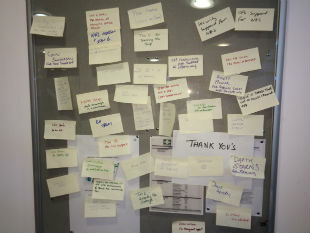 Last Wednesday (17th December) we held our first Agile 'giant' retrospective. 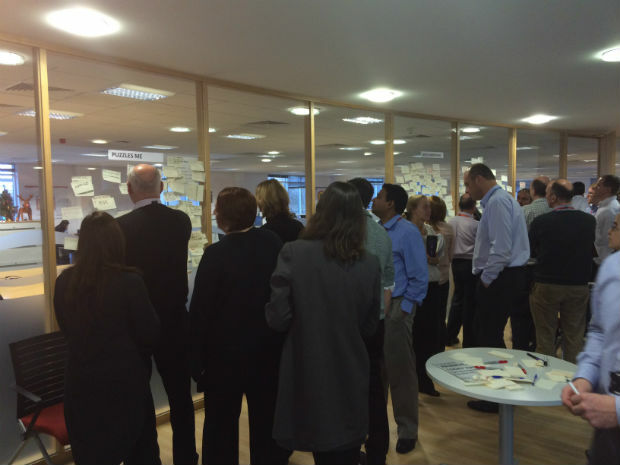 It gave us chance to look back at our Agile projects over the past 12 months and discuss what had worked well, what needed to improve and what had been puzzling people. 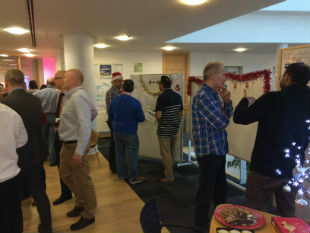 More than 50 people from across the Chief Digital and Chief Technology offices, as well as colleagues from other Agency functions, took part, which was great given the time of year and the short period of time we had to organise it. It was actually a great example of self-organisation and shows what people can do when given some space and time to reflect. This was very much all about the people. Most people mentioned team working and good relationships as a positive. Others mentioned openness, commitment, enthusiasm and focusing on the user as great things that work well today. Lots around learning, strategy, planning and communication. There was also a strong desire to have other parts of the Agency become more involved and aware. Suggestions including wider business engagement and more attendance at show and tells. For some people they simply wanted to know what Agile is and why it’s being introduced. There were also questions from experienced people around business value and prioritisation, estimation and governance, managing risk. Some people want help starting agile teams. We want to meet regularly in 2015 to make sure we continue in the right direction, iterating and improving our strategy and approach as we go. We will do more in the New Year on look at how staff can get involved to help us get better as a digital and agile organisation. 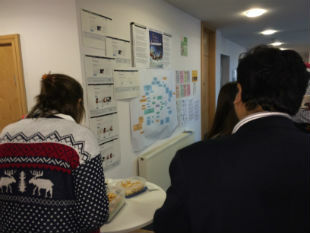 Following the retrospective we also held a CDO-wide show and tell to showcase the work and achievements to date across the function. It was great to see that we had actually achieved rather a lot in a relatively short space of time, more than I think even we had imagined. Using Christmas as the backdrop each team within CDO came up with a theme around which they highlighted key achievements and work. Again self-organisation was clearly evident and the morning, supplemented with festive cakes and biscuits, proved a hit and great way of discussing our achievements and our plans for 2015. We even had Santa drop in for some internal user research on our employer digital service! We go into 2015 with a lot of work to do to reach our digital vision and full transformation, but we do so on some solid foundations and successes achieved in 2014.